True to form—and Facebook—there was a warm, friendly and familial feel to Prime Minister Narendra Modi’s townhall meeting at Melon, California, with Mark Zuckerberg on September 27. Modi got emotional (yet again) while talking about his mother. 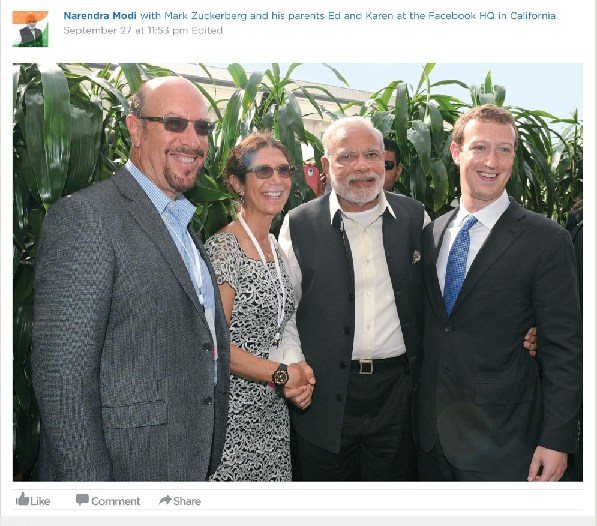 Zuckerberg, the youngish founder of the world’s largest social networking site, got his parents to meet and pose with Modi. The article by Arindam Mukherjee was published in Outlook on October 12, 2015. Sunil Abraham was quoted. 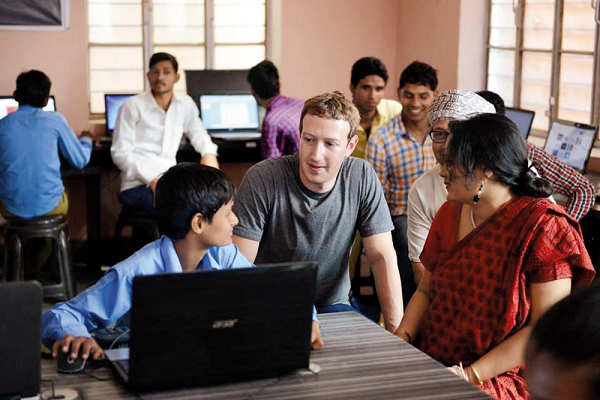 “The most amazing moment was when I talked about our families,” Zuckerberg wrote in a post, “and he (Modi) shared stories of his childhood....” That’s just the kind of stuff we would see and post on Facebook—the benign visage of a profitable, all-pervasive US-based corporation. (Needless to say, everyone who has worked on this story is a registered user).